MOTIVATED SELLER! 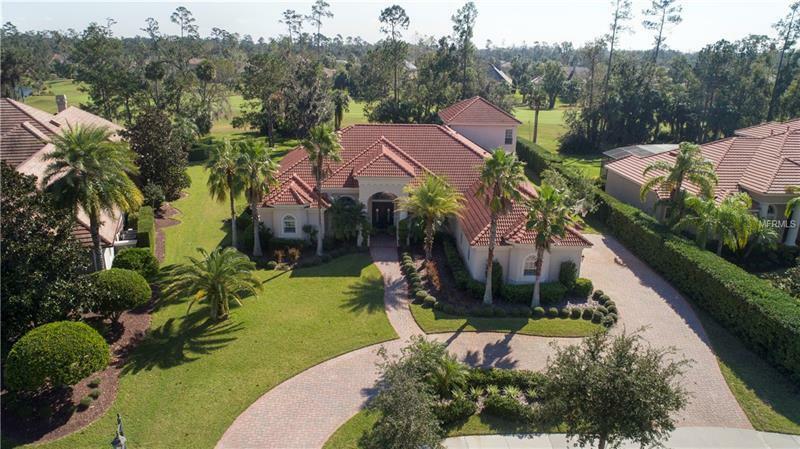 ALAQUA LAKES GOLF FRONT, LARGE YARD, PRICED BELOW COMPS - This flexible floor plan offers ample space for entertaining family and friends. The heart of the home includes a large kitchen with gas appliances, center island, eat in kitchen, and breakfast bar. The kitchen is open to family room/large downstairs bonus room and lanai for easy entertaining. The large downstairs bonus space with golf course views is equipped with a built-in bar. A second bonus room with full bath and private balcony (5th bedroom) is above the downstairs bonus space. All other rooms are on the first level and include a dedicated office off the foyer, formal living with gas fireplace, formal dining, and 3 secondary bedrooms with 2 baths plus bonus desk/work area. The oversized master bedroom and sitting area are bathed with natural light offering relaxing views of the pool and golf course. Outside you will enjoy the Florida lifestyle around the screened pool and large lanai. The home is well sited with a backyard that offers plenty of space to play plus water and golf course views. Alaqua Lakes is a NATURAL GAS highly sought after 24 hour guard-gated community featuring a community park, pool, basketball court and tennis courts complete with a full time pro! Zoned for great Seminole County Schools -Heathrow, Markham Woods Middle and Lake Mary High School. Restaurants, Shopping, City Park, Farmer's Market, Sports Fields all within close proximity. Just a 45 min drive to beach and/or theme parks!